Petnet, Inc., was founded in 2012 by Carlos Herrera (CEO), Dustin Morales (CDO) and Chris Diebner (CTO). The company is based in Los Angeles, California. Since June 2, 2015, Petnet, Inc. operates as a subsidiary of Aboitiz Equity Ventures Inc. The team at Petnet, Inc. consists of designers, engineers and pet food food experts who develop innovative devices to help cat and dog owners maintain the health and well-being of their pets. The team has decades of working experience from world-class companies like Northrop Grumman, TBWA Chiat Day, Apple, and Nest. The first Petnet SmartFeeder was manufactured in 2012. Because people are often working long hours each day and cannot always maintain a steady feeding schedule for their animals, the partners decided to create a system, whereby dogs and cats would always be fed at an appropriate time. 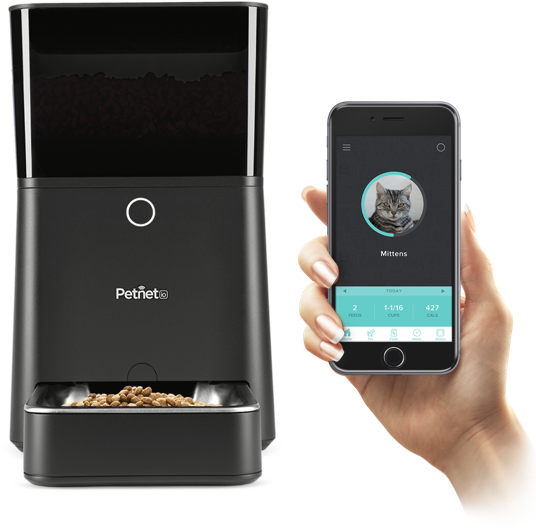 The advancement of smartphones offered Petnet, Inc. an opportunity to combine their SmartFeeder with mobile phones, thereby allowing pet parents an opportunity to remotely feed their animals from any location. Their technological innovation provides pet owners with the peace of mind that they can leave their furry family alone and know they will be fed on time, with the appropriate proportions. Because the Petnet SmartFeeder is programmable, it allows you to set portions based on your pet’s age, breed, weight and level of activity. It then dispenses the food at intervals that you establish. Its mobile Petnet app allows you to modify your settings even when you are not home. The PetFeeder app uses learning algorithms to evaluate the quality of food, and to recommend portion sizes based on your pet’s daily needs. It also sets a feeding schedule, offers advice about pet food brands, and alerts you when it is time to buy more food. The company was named a 2015 CES Innovation Awards Honouree in the Software and Mobile Apps, and Home Appliance categories for its SmartFeeder. The prestigious CES Innovation Awards are sponsored by the Consumer Electrontics Association (CEA). The SmartFeeder and Size of Pets: SmartFeeders are compatible with pets that weigh up to fifty-five pounds. Remote Feeding: Control a pet’s feedings from a smartphone, tablet or laptop with the ability of adjusting feeding schedules in real-time, from anywhere. Automated Schedules: Manage feeding times, portion sizes, and food dispensing speed – all tailored specifically for the pet’s age, weight, and level of activity. Feeding Insights: Matches each pet with ideal ingredients and precisely measured food portions, potentially saving hundreds of dollars per year. Alerts and Notifications: Receive notifications on a smartphone, tablet, or laptop abut feeding times, meal confirmations, food inventory, and battery life. Food Subscriptions and Home Delivery: Automatically tracks a pet’s food inventory and orders more food when needed. There are thousands of quality pet foods to choose from. Beautiful Design: The sleek design elements and premium materials allow for proud display of the SmartFeeder anywhere in the home, while the sturdy construction and pet proof features can stand up to even the most clever pet. Portion Control: Precisely measures portions based on your pet’s age, weight and level of activity. Intelligent Monitoring: Keeps tabs on your pet’s eating habits throughout the day. Food Analysis: Offers a snapshot of how healthy your pet’s food is with the Food Report Card. Chew resistant USB Cable and U.S. A/C Adapter. Wireless: 802.11 b/g/n (2.4Hz supported). Requirements: Apple iOS 7.1, or greater. Android 4.4 KitKat, or greater. Micro USB cable (8ft. ), and a User’s Guide. Precise Portions: The SmartFeeder precisely measures portions based on your pet’s age, weight, and level of activity. Automated Portion Sizes: Dispenses 1/16 – 1 1/2 cups. Hopper Capacity: Stores five pounds to seven pounds of food. Kibble Sizes: Dry food 1/8” – 5/8” in diameter. Warranty: The PetFeeder comes with a two year limited warranty. Precisely measures portions based on your pet’s age, weight and activity level. With a built-in scale and the Petnet app, the SmartBowl helps you feed the right amount for every meal. Smart Food Scale: Accurately measures your daily five portions and feedings. LED Display: It lets you know when you have fed the perfect portion, or too much. In July, 2016, many vulnerable cats and dogs were home alone eagerly waiting for their dinner to be served. Because the PetFeeder was not working for ten hours as a result of a glitch in a third-party server, their tummies had to remain empty until either the problem was fixed, or their guardian returned home. Fortunately, the problem was resolved within an appropriate amount of time, however, the situation could easily have been much worse. Although there are many conveniences associated with using technology to help maintain your pet’s health and well-being, they should not be considered completely reliable. For a pet parent who is working long hours, but will be returning home the same day, the device can be very useful and if a failure happens will not place the animal in danger of starvation. The same cannot be said for pet parents who rely on the system while they go on vacation for a few days, or weeks. If the system breaks down for any reason the animals will be placed in grave danger and there is a high risk of a fatal outcome. Intended Use. The Services are intended to be accesses and used for non-time-critical information and control of Petnet products. While we aim for the Services to be highly reliable and available, they are not intended to be reliable or available 100% of the time. The Services are subject to sporadic interruptions and failures for a variety of reasons beyond Petnet’s control., including Wi-Fi intermittency, service provider uptime, mobile notifications, and mobile carriers, among others. You acknowledge these limitations and agree that Petnet is not responsible for any damages allegedly caused by the failure or delay of the Services. Reliability of Notifications. You acknowledge that the Services, including remote access and mobile notifications, are not intended to be 100% available. We cannot and do not guarantee that you will receive notifications in any given time or at all. YOU AGREE THAT YOU WILL NOT RELY ON THE SERVICES FOR ANY SAFETY OR CRITICAL PURPOSES RELATED TO YOU OR YOUR PET. Temporary Suspension. The Services may be suspended temporarily without notice for security reasons, system failure, maintenance and repair, or other circumstances. You agree that you will not be entitled to any refund or rebate for such suspensions. Petnet does not offer any specific uptime guarantee for the Services. Using any form of technology, especially where lives are depending on it should always be used with caution. Being aware of possible problems and always having an alternative emergency plan, as well as, asking a reliable neighbour to frequently check on them is being a responsible pet guardian. There is also the question about who is walking the dog, or petting the cat while their owners are away for long hours, or even days at a time. Both dogs and cats need love and attention from their guardians. Leaving an animal alone for long periods of time without any human social interaction is emotionally unhealthy for an animal. Both dogs and cats also require some level of exercise and dogs definitely need to be taken outside for regular walks. If used correctly and with emergency alternatives in place, the PetFeeder system can be an invaluable help to you and your pets, however, it should not be used to replace human interaction. There are other basic needs that companion animals require besides food. 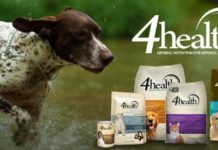 DogFoodSelection.com is dedicated to providing dog food ratings and critical recall alerts. As dog lovers, we have a responsibility to provide advise to help you feed your dog better.